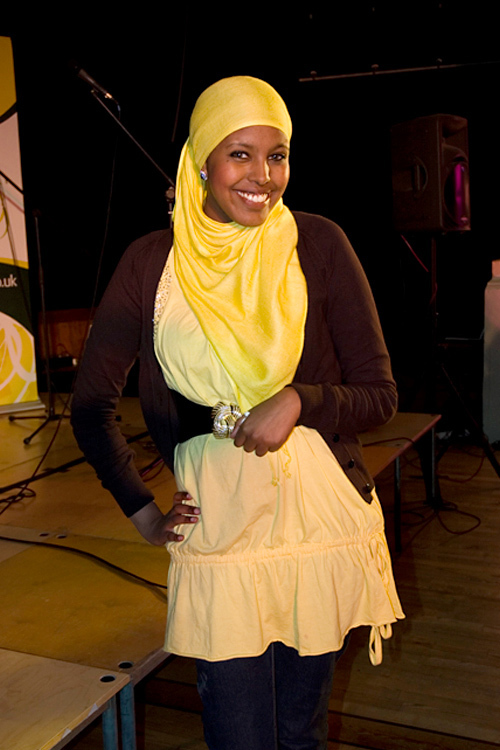 I LOVE the bright top and her bright smile Mashallah! I took this photograph and just wanted to say something about this sister. I spotted her at a Bristol event and she was with a group of girlfriends. I thought the shades of yellow she was wearing were really pretty. When I approached her, she was a little shy but she soon broke into this amazingly beautiful smile for the camera. She is a dazzling young woman in person and so glad the photo captured this. she really does look *dazzling* God Bless. Does anyone know where we can get steps on how to change up our hijabs like the sisters on the site do? I'm kinda getting tired of the same way I'm wrapping mine every day :(. the colours make her glow. she looks gorgeous!